The British FV4030/4 Challenger 1, was the main battle tank (MBT) of the British Army from 1983 to the mid 1990s, when it was superseded by the Challenger 2. It is also currently used by the Jordanian Armed Forces as their main battle tank after heavy modifications. The Challenger design by the former Military Vehicles and Engineering Establishment (MVEE) near Chobham in Surrey originated in an Iranian order for an improved version of the Chieftain line of tanks in service around the world. 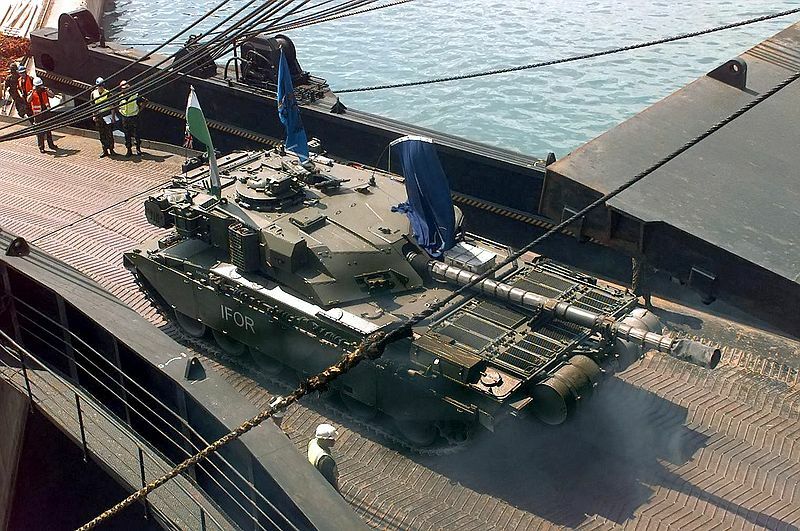 These were the Chieftain Mk5(P)- FV4030/1, FV4030/2 Shir (Lion)1 and 4030/3 Shir 2. With the fall of the Shah of Iran and the collapse of the UK MBT80 project, the British Army became the customer and the tank was further developed by MVEE to meet Western European requirements. For a short time the tank was named "Cheviot" before becoming "Challenger", a name reused from a cruiser tank of the Second World War. The most revolutionary aspect of the Challenger 1 design was its Chobham armour which gave protection far superior to any monolithic Rolled Homogeneous Armour (RHA), which was the then standard of tank armour material. This armour has been adopted by others, most notably the American M1 Abrams. Additionally the Hydrogas suspension fitted provided outstanding cross-country performance through the long suspension arm travel and controlled bump and rebound behaviour offered. The Challenger was built by the Royal Ordnance Factories (ROF). In 1986, ROF Leeds (and the Challenger production line) was acquired by Vickers Defence Systems (later Alvis Vickers). Challenger 1 competed in the Canadian Army Trophy Competition in 1987. It scored more direct hits than its competitors, but the poor fire control system and sights caused it to be the slowest firer, and it was placed last in the league tables. 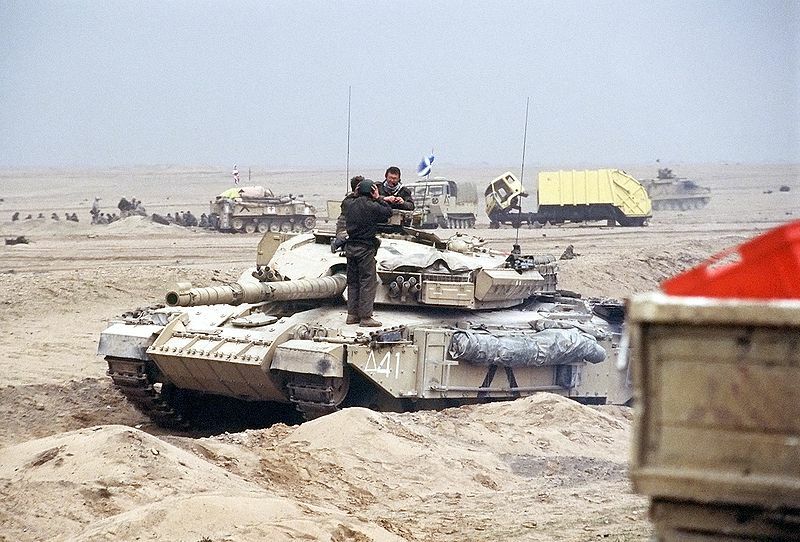 180 Challenger tanks were deployed to Saudi Arabia for Operation Granby, the UK operation in the Persian Gulf War. Challengers were also used by the British Army in Bosnia and Herzegovina and Operation Joint Guardian, the NATO-led drive into Kosovo. 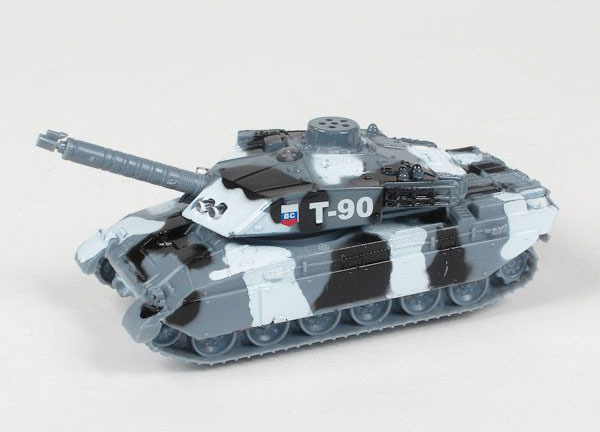 The model of the tank, though exactly corresponds to the scale - is a child's toy. For use in wargames require small improvements. Lighting equipment must be removed, repaired the holes on it and restore the missing details on these sites. The barrel of the tank with sliding. But to advance to the full length of the defect prevents him casting. This defect should be removed, and push the barrel and glue.